Every adult wants to avoid teeth-related imperfections. In today’s increasingly social world, you do not want to miss meeting new friends and making new connections just because you feel unhappy or self-conscious about your smile. Fortunately, there are many treatments and procedures that can help improve the quality of our smile. Six Month Smiles is one of the latest cosmetic treat to offer safe, affordable, and effective way to improve the quality of your smile in less time. Some people do not like sporting metal braces or do not have enough resources to consider more costly cosmetic procedures. Six Month Smiles can be the ideal alternative. Here are some of the reasons you should think about Six Month Smiles. Unlike traditional metal braces, Six Month Smiles use transparent brackets and wires that are nearly invisible to the eye. The great thing about it is that it does the job correcting common dental alignment problems without the unsightly wires. It can treat problems such as such as under bites and overbites, crowded teeth, and gap ridden teeth. Metal braces can be painful if newly adjusted, making eating a challenge. Six Month Smiles offer minimal discomfort so you do not have to sacrifice eating your favorite food. 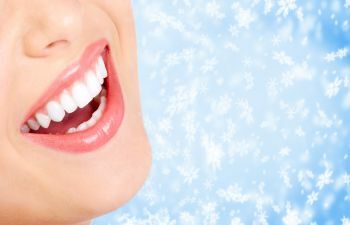 Perhaps the greatest reason to consider getting Six Month Smiles is the amount of time it takes to give you well-aligned, whiter, tightly settled teeth. A regular metal brace takes roughly around three years. Six Month Smiles take just a couple of months. In as little as six months, you can start showing off your new and improved smile. If you interested at achieving great results but in a shorter time, contact us today to find out if this treatment suits you. Talk to one of our dentists at Gold Hill Family and Cosmetic Dentistry to learn more.